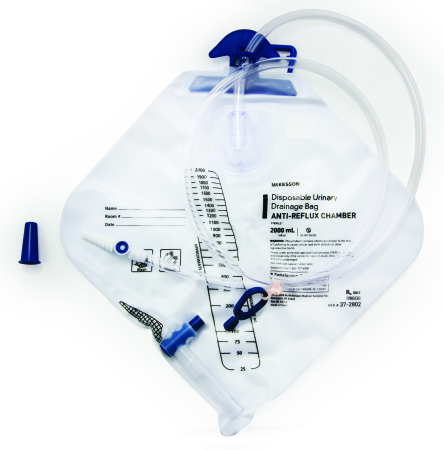 McKesson Performance Urinary Drainage Bag with Anti-Reflux Chamber from IndeMedical.com features a durable construction for odor containment and leak resistance plus an anti-reflux chamber that reduces gross reflux. It has a unique clothing clamp on tube that prevents the tube from getting twisted or being dragged on the floor. 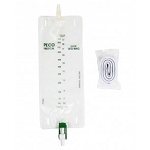 Easy sampling with an accessible port, plus even filling and draining and comes equipped with a handle/hanger for added benefits. Single Use, Individually packaged, and disposable. 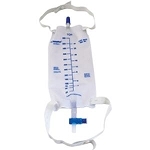 Contents: 2000 mL Urinary Drainage Bag, Anti-Reflux Chamber, Drainage Tube, Handle, Sample Port. Durable construction for odor containment and leak resistance. 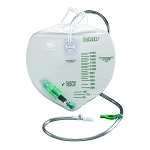 Anti-reflux chamber reduces gross reflux. 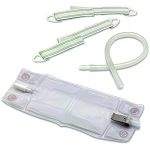 Clothing Clamp on Tube – used to attach to patient’s clothing to make sure tube does not get twisted or dragged on the floor. Design allows for even filling and draining. Areas under protective caps and fluid pathways are sterile. The valve is push to close.